Gretchen has written another great post – we hope you enjoy it! Have you ever had the experience of reading a verse in the Bible that you’ve read perhaps 50 times before, and all of the sudden it jumps off the page at you? I had that experience recently in reading through 1 John 3:2 “…but we know that when he appears we shall be like him, because we shall see him as he is.” My heart went, “Wait—what?” I read it again. I have certainly always believed that being in the presence of Jesus one day would be glorious, but this verse is saying that in the moment when we see him as he truly is, we will be like him. Now my heart began to race. When we finally see Jesus face to face, just the sight of who he is—his love, his beauty, his glory, his fullness—will be transformational. So transformational, in fact, that we will be like him. That reality makes my heart long even more for that day! When I ponder the ugliness of my own heart, and how I’m so drawn to respond out of selfishness and pride, it’s hard to imagine that I could ever really be like Jesus. And yet, the Bible is telling me that I will be like him someday, when I see him as he is. As I continued to ponder the wonder of this, another thrilling reality struck me. Trapped in my fleshly body, with the ongoing wrestle of the Spirit and the flesh at odds within my heart, I cannot fully see Jesus as he is now. But the truth still holds. 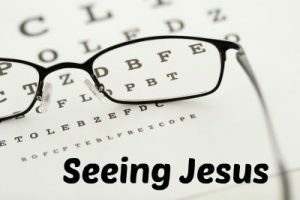 Even now, with all of my fleshly trappings, the more I see Jesus as he is, the more I will be like him, because the sight of him is transformational. Our relationships with people bear this out, don’t they? When you spend time with an elderly saint, who has walked with Jesus for decades, don’t they just seem to radiate his love? Isn’t there a gentleness and care for others that some of us younger folks can’t quite make sense of? There is something about having walked with Jesus day by day, year after year that is transformational. They have seen Jesus with growing clarity, and seeing him has changed them. Now, it’s true that there is no substitute for years of walking with Jesus. Seeing him through the ups and downs of life over a period of many years gives us glimpses of him that we just wouldn’t get in a day or two. Still, wherever we are in our lives, we cansee Jesus more and more clearly. He longs for us to do just that. That’s why he’s given us his Spirit to unite us to himself and to continue to draw us close. The Spirit is constantly welcoming us, constantly wooing us, to see Jesus as he is. Just one example is the Spirit’s invitation to see Jesus through the Bible. On page after page, we see how Jesus loves and cares for those who are sick and hurting, how he reaches out to those who are marginalized, how he is patient with his failing friends, how he confronts wrong, how he serves and gives, and how, in the ultimate expression of his love, he lays his life down on the cross to give us hope that one day, we will not only be withhim, we will belikehim. But, why? Why would Jesus do all of that? In John 3:16 we’re told that that God, the Father, so loved the world that he sent Jesus so that no one would be lost, but that all would be brought to eternal life. We see Jesus speaking what the Father gives him to speak (John 12:49) and doing the will of the Father (John 6:38). We see the Father speak his love and approval over Jesus again and again, as Jesus carries out his earthly ministry and is obedient even to death on the cross. So beloved was Jesus by his Father that his love overflowed to us—as he came, he cared, he served, he spoke, and he died. The love of our God is an overflowing, outgoing, giving love. That’s the transforming love we see when we see Jesus. I want see to see Jesus. I want to know him more, love him more, be more like him. May the noise of life in this world not drown out the Spirit’s voice as he speaks to my heart, “Come, see Jesus.” Because seeing him as he is will change me. For God so loved the world that he gave his one and only Son, that WHOEVER BELIEVES IN HIM shall not perish but have eternal life). It will be a beautiful day when we finally see Jesus face to face, won’t it? And you’re absolutely right about John 3:16. I was depending on readers knowing the context but some may not. Thank you for adding that clarification. It’s critically important! Richard’s point is a good one. However, thank you so much Gretchen for this wonderful, amazing reminder of God’s transforming love …and what it means. I pray that the Spirit would continue to reveal these mind-boggling truths from the word, that we might be energised, convicted and encouraged in gospel living. Thank the Lord for his grace. Love your meditations, keep serving with great joy.